One of Europe’s most visited cities, Barcelona, is not only a cultural hub comprised of a rich history, beautiful beaches and endless sights. It is also a favorite backdrop for many a filmmaker, including the likes of Woody Allen and Manuel Huerga who could not resist to use such famous landmarks as the Sagrada Familia and Park Güell as the settings for scenes in their movies in Barcelona like Vicky, Cristina, Barcelona and All About My Mother. So, if you’re making your way to Barcelona this year, why not choose to explore the sights of the city on a Barcelona movie tour. Discover some of the most revered tourist attractions in Barcelona while standing in the very spots where stars like Jack Nicholson and Scarlett Johannson shot some of their most well-received pieces. Barcelona film tours offer visitors to the Catalan capital the chance to recreate famous movie scenes and discover fascinating facts and anecdotes about the casts and production of films shot in Barcelona, including Todo Sobre Mi Madre, Salvador, The Shanghai Spell and The Perfume, all while visiting the best sights of the city . There are various movie tours in Barcelona on offer, and below we give you some examples of how you can get a ‘reel’ feel for the city while exploring the makings of some very famous scenes. Not only do these walking movie tours offer a chance to see these the city’s attractions, but as the guides explain real stories about the shooting of the films, with photos of particular scenes, this type of Barcelona tour is certainly a little different from the norm. Hear all about the on-set antics of Penélope Cruz and Javier Bardem, and get in-depth details of the filming process of such iconic movies as Pot Luck and Manual d’Amore. Choose the “Barcelona of Woody Allen” or the “Barcelona of Salvador” tour, and enjoy exploring famous sights through the eyes of the directors, with stops at Park Güell, Tibidabo and of course, Els Quatre Gats bar – the spot where the three main characters in Vicky, Cristina, Barcelona meet for the first time in the movie. 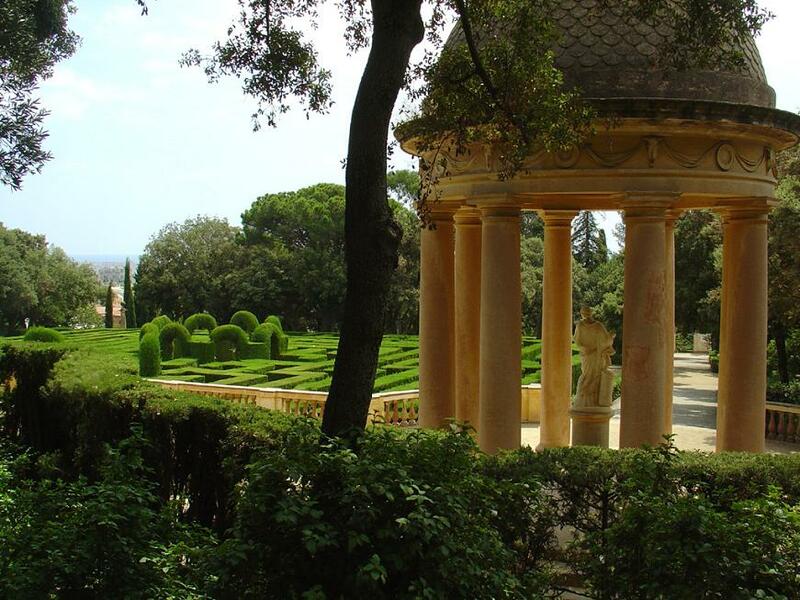 Some of the tours also cover less visited spots, ranging from the Montjuïc Cemetery to the University of Barcelona. For more information on walking film tours in Barcelona check out the Barcelona Movie Tours website and the Barcelona Turisme website. Ever wanted to walk in the footsteps of Dustin Hoffman or Alan Rickman? Discover the top sights in the city, such as the neighborhoods of El Born and El Raval and Barcelona’s bustling strip, Las Ramblas, where big Hollywood hits were filmed. This tour is a little more mainstream than some of the Barcelona movie walks, making it perfect for those who just wish to see the highlights of the city. The ICONO Barcelona Movie Tour covers famous films from Perfume: Story of a Murderer to Salvador, and you will visit such places as the Labyrinth Park, the Barcelona Cathedral and the breathtaking Palau de la Música Catalana. Be sure to check out the ICONO Barcelona Movie Walking Tour website for prices, times and a full schedule of tours. If you’re a true film buff and want to stay close to where some of the most famous scenes in Barcelona movies were filmed, then we recommend renting an apartment in Barcelona’s Gothic Quarter. This historical area is known as the heart of the city, and is right in the center of all the action. Its winding streets and historical bars have lent themselves to many a film production over the years, and here you will be close to plenty of metro and bus routes, allowing you to visit the rest of Barcelona’s best sights. To search for your ideal Gothic Quarter apartment in Barcelona, go to www.apartmentbarcelona.com. This entry was posted in Activities, Places and tagged alternative tours of barcelona, barcelona, barcelona attractions, barcelona guide, barcelona movie tours, barcelona neighborhoods, columbus, movies, sightseeing in barcelona, things to do in barcelona, tour, visiting barcelona. Bookmark the permalink.